Updated March 19, 2008. Changes and additions will be in italics. 1. I grew up a literal child of the ’60s. I was born in 1960, and my parents owned an apartment house on a major university campus, where we lived until about 1972. 2. I collect cats, but not real, live ones (we are renters who aren’t allowed cats or dogs). I’m fond of cats in art – figurines, Lennox crystal, hand-carved folk art, plush cats. Whimsical, humorous, or elegant cats are preferred over “just cute”. If the cat has a ribbon on its neck, it better be a darn funny-looking cat. 3. I have a fascination with all things Japanese. 4. One way the Japanese fascination manifests itself is in a subset of the cat collection – Maneki-Neko, the Japanese “beckoning cat”, a talisman of sorts used to invite good fortune in the door. 5. I hope to learn the Japanese language one day. I have a small collection of books about doing that, but haven’t had the discipline to sit down and actually start reading them or practicing. I’m not sure how much hope to hold out for this – I’ve had the books two years now. 6. Japanese crafts intrigue me, but I haven’t had the combination of means and opportunity necessary to acquire any books/kits/supplies yet. 7. I have occasionally had a chance to try out Japanese snack foods and candies, and I think it’s lots of fun. Pocky, Koala No March, chocolate-filled gummi sushi with marshmallow rice, and there was another that was flavored cotton candy with Pop Rocks mixed in it. J-List is one of the best places to get this sort of stuff. I was lucky enough to be able to order some a couple years ago, but haven’t been able to afford it in a while. Lately, I’ve been seeing various bloggers post pictures of gifts of Japanese snacks they received, and I’m envious. Different flavors of Kit-Kat bars are something new since I was last able to get this sort of thing, and they sound delicious! 8. I have several bento boxes. Not just the classic lacquerware type, but real functional ones that are actually used to carry a lunch in Japan. I used to take my lunch to the bead store in them. 9. I owned a bead store for almost three years in New Hampshire. 10. I am allergic to artificial perfumes. Anything that says “Fragrance”, “Perfume”, “Fragrance Oil”, or “Perfume Oil” on the list of scented ingredients will probably cause me to have an asthma attack. The only scents that are safe are pure “Essential Oils”. 11. I’ve been overweight my whole life. But I’m working on it. 12. At the age of eight, I had love beads (given to me by an African university student who lived in my parents’ apartment building), I sewed fringe on the hems of my jeans, and I wore headbands. I wanted to be a hippie when I grew up. 13. 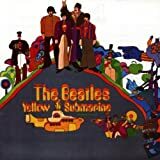 The first album I ever picked out for myself (it was a reward my parents bought me for doing well on a school report) was Yellow Submarine. 14. I have worn glasses ever since fourth grade. I’ve always been very nearsighted, but at the end of 2004, I was also told I now need bifocals. I resisted at first (I couldn’t stand the idea of different areas of focus in my line of vision), but now I’ve adjusted. 15. I consider myself a multi-crafter. I haven’t done all types of crafts yet, but when I’m creating something, I don’t always limit myself to only one craft technique or category. 16. My primary categories of crafting these days are knitting and beadwork. I also do counted cross-stitch, needlepoint, I paint decorative objects, I do a little embroidery, paper collage and decoupage, I crochet, I’ve played with a little patchwork piecing. I do not sew clothing, though I’ve done some costume work (trust me, it’s different), and I’ve tried spinning and it just didn’t click for me. 16a. I tried spinning again in August of 2006, and this time, it clicked. With Gryphon’s help, I made a number of CD drop spindles, I purchased several nice ones (including a hand turned laceweight spindle). By the end of the year, I had a spinning wheel in the house. I wish I could say I’ve spun regularly since then, but other projects have called for my attention more. 17. My preferred beadwork techniques all involve needle-and-thread, and Japanese or Czech seed beads or Delicas. These are usually known as beadweaving. I also like working on a bead loom. I can do bead stringing, but I’m not nearly as fond of it, and seldom do it just for myself. 18. I have never yet knit myself a sweater. 19. That’s not true. I’ve knit one belt-tied cardigan from Homespun yarn, but it’s been sitting in pieces, unfinished, in a bag for at least 4 or 5 years. I really should stitch it together someday. 19a. I stitched the cardigan in Thing 19 together back in April of 2006. It fits and looks great, and is very comfortable. I have also knitted another sweater since, a Japanese kimono-style called a Noragi, from the book Knit Kimono (Interweave Press). It is warm, comfy, and colorful. 20. I prefer to knit small, clever things – hats, socks, fingerless mitts, bags, plush figures. 21. But I’m not afraid to take on big projects, either. I recently uncovered another UFO – a blanket for a Queen-size bed, knit from worsted weight yarn. It just needs the ends woven in to be done. And I was once famous for my one-piece Aran afghans, which I’ve knit over a dozen times. I finished the blanket in March, 2006. You can see it here. Like the sweaters, it’s warm and cozy. 22. My skin is sensitive – I can’t deal with anything very scratchy next to it. I don’t like anything close around my neck, and I don’t mean just turtlenecks – even a close-fitting crew neck is too tight. My fingers and toes have to stay unhampered, too – I favor toe-less socks and finger-less mitts. 22a. Since learning to make socks that fit me properly, I find that I can wear socks with full toes and heels. The issue has always been that my feet are an odd size, with my ankle bigger around than my foot circumference. So if a sock pattern fit my ankle, it was too loose in the foot, and if it fit my foot, it was too tight in the leg. Having made this discovery, I am now on a program to knit enough socks to make a complete wardrobe for myself. 23. I was sent to private school most of my childhood, up through the tenth grade. My parents wanted me to have a good college preparatory education. 24. When I was in first grade, I was so good at reading, they had me go to the second grade class each day for reading lessons. Finally, by Thanksgiving, they just decided to skip me completely to second grade. 25. I wound up hating school the entire time. I was from a family with a middle-class income, going to school with kids from upper-class incomes. I was also smarter than they were. And because I’d skipped a grade, I was a year younger. This combination is deadly when you’re a child. I was a target of teasing my entire school career. 26. After tenth grade, the private school raised their tuition again. My parents were paying for three children to attend school there – it was just too much. Trying to retain something of a private school education, I was sent to a Catholic High School. 27. I was raised non-religious. My parents never went to church when I was growing up. The only time I ever attended was in the summer, when we kids were sent to visit my mom’s grandparents. (Oops!) They attended church, and we kids went to Sunday school class while we were there. 28. This contributed to Catholic High School not being a very good idea. Religion class was a required course, and I tended to argue with the Catholic principles that were laid before us. 29. After a year and a half of failing grades in Religion class (I did fine in all my other courses), I was told I couldn’t graduate from that High School. I spent the last half of my senior year in a public high school. 30. Now, I believe that there’s more to the universe than what we see with our eyes. I believe in Karma. I believe that the energy we put out into the world comes back to us manyfold. 31. I do not participate in organized religion. Faith and spirituality for me are very personal things, and I don’t find them in a crowd all listening to the same sermon at a specified time and place. I follow no specific religious practice. Rather, I try go about my life with a strong awareness of the impact I have on the world, and on other people. And I try to make that impact a positive one. So, I am religious – but in my own way. 32. I am told that I learned to read at the age of three. I say “am told” because I actually have no memory of learning how to read. That’s how early I learned. 33. My parents are both book collectors. One of the very first things I can remember learning about books was in a local bookstore in Syracuse. My father showed me the title page of a book on a display table, and pointed out the word “abridged”. I was carefully instructed that if a book ever said “abridged” or “edited”, I was not to buy that book. 34. To this day, I feel a reverence for the printed page. I have been horrified over the past several years by the popularity of the “altered books” craft. I just can’t stand to see any books cut up, glued together, bent, folded, spindled, and multilated that way. 35. I suppose, though, I could make an exception for books that are “abridged” or “edited”. 36. It took me forever before I was able to stand the opening scenes of the movie Fahrenheit 451. That’s the one where the “firemen” are coming to the old woman’s home to burn her books. Only, instead of letting anyone else get her books, the old woman piles them around her feet and sets them (and herself) on fire. They actually burned real books for the scene. It appalled me. 38. I have always been a huge science fiction fan, but that feeling has cooled a lot in recent years. Once, the genre was rare enough to make it almost compulsory to watch every single sci-fi show that ever came on television. Now, there are so many options (and not all of them are worth it), that we can afford to be picky. 39. I was an original Trekkie. I saw William Shatner speak in Syracuse in around 1976, and Leonard Nimoy that year or the next one. 40. I used to attend an occasional science fiction convention. I went to Boskone, Balticon, and Conebulous. 41. John DeLancie (Q in Star Trek: The Next Generation) has a pillow I made for him, which was presented as a birthday gift at a Star Trek convention in Chicago. It’s a cross-stitch portrait of him in Q’s full red judge’s robes, with his face in petit-point, and actual metal charms stitched in place to represent that huge necklace he wore. 42. My mother’s parents both immigrated from Sweden in the 1920’s. But separately. They didn’t know each other in Sweden. As a child, I don’t recall being told anything about Grandma and Grandpa knowing each other before they lived in America, so I assumed they hadn’t been acquainted then. 43. My grandfather held jobs at Ford Motor Company in Detroit, and at some of the movie studios in Hollywood. He is also rumored to have been an extra in a Buster Keaton movie. 44. My grandmother was a fashion model for a department store in Stockholm. I have clippings of her from a catalog, wearing cloche hats and very 20’s style dresses. 46. I am a huge movie fan. HUGE. I had seen Star Wars (on the original run) 10 times already, and my friends and I arrived late enough to the theater that the film had already started – about two minutes ago. I refused to go, I believe that a work of cinematic art should be seen in its entirety from beginning to end, as it was meant to be. Needless to say, I’m opposed to colorization of films, or any other form of altering the original creators’ visions. 47. My husband is not a movie fan. He can’t stand not being able to pause so he can go to the bathroom, and he hates long, talky scenes, or parts where nothing’s really happening. He wants to fast-forward through the “boring” parts. 48. As you might guess, I seldom get to go to movies with my husband. 49. I usually don’t get to see anything until it’s on DVD. And then, I won’t rent – I hate having a deadline by which I have to watch. (Netflix-type rentals don’t work for me, either – I wind up hanging onto my three movies, unwatched, for the longest time. Costs too much per movie that way!) So I don’t get to see as many movies as I’d like, because I have to find an affordable deal for buying on DVD. 51. Milk chocolate is better than dark chocolate. 52. Nestle’s Crunch Bars, Butterfinger Crisps, M&M’s Crispy, Smores bars, and Whoppers are all excellent. 53. So is that Choxie line of chocolates that Target has introduced. 54. Caramel and Butter-Toffee corns are another favorite. The Karamel Korn Shoppe in Syracuse, NY (the one in Shoppingtown Mall, not the one in Carousel Center) makes some of the best caramel corn on the planet. I’ve also become fond of the Archer Farms brand carried at Target, especially the Macadamia Nut and the Banana Cashew. Over the Christmas holidays they had a Peppermint Stick flavor that was to die for! 55. Malted Milk should be a food group. I am a fan of any soda shop that uses real malt powder, not the liquid flavor. Chocolate Malts should be made thick, with so much malt powder that you wind up with some still stuck inside the metal milkshake cup. I used to order my Chocolate Malts “Crunchy”. 56. Artisan-level chocolates are amazing when you can afford them. I’m fond of L.A. Burdick, a chocolatier located in Walpole, NH. They make the cutest little chocolate mice and penguins. And the most amazing assorted chocolates. It’s the first time I ever liked dark chocolate! 57. I am an excellent cook. I can follow a recipe and have it come out right. Or I can just decide “I’m going to make soup today – let’s see what’s in the kitchen,” and put together a soup that’s tasty and unique. 58. I like to bake, but frankly, our current kitchen is a cook’s nightmare. I can get by for making soups and other such items, but baking is a real trial. 58a. I’ve started baking, actually. I decided that making our own bread was a worthwhile goal. I began with manually making loaves of sourdough bread, and it was successful enough that we decided it was worth the expense of – and the effort to find counter space for – a breadmachine. So far, this is working out very well. 59. We don’t currently have pets, our landlord doesn’t allow cats or dogs. (I’d have a cat if I could.) But we’re starting to research small caged pets – rats, hamsters, birds. We may just wind up having a small pocket-sized furry or feathery being to keep me company while I craft. 59a. Regular readers of the blog will know that we long since slipped into the world of rat lovers! As of March 20, 2008, the Rattie Siblings consist of Lola, a 13 month old Blue Berkshire Dumbo female, and Leonardo and Yuri, two Rex males (neutered) who are about 5 months old. The three get along famously. 61. I’ve had my own computer since about 1990. 62. I have been married since 1993 to a wonderful man, known on my blogs as Gryphon. 63. We met over the Internet in 1990, at a time when most of the world didn’t even know the Internet existed yet. 64. We met in person for the first time in 1992, when Gryphon came to visit me for Thanksgiving. 65. A month before he visited, we had begun chatting in private chat rooms more and more. By the time he showed up for Thanksgiving, we both knew there was a special relationship here. I knew, and I believe he did, too, that it was love. We just didn’t want to voice that out loud until we’d met face-to-face. 67. Thanksgiving 1992 was our first date. Our second date began on Christmas Eve, 1992, and lasted through 10 of the 12 days of Christmas. While Gryphon was in Syracuse that time, we bought our marriage license. 68. Gryphon wasn’t able to come back to Syracuse until late in February 1993, for our wedding. We count that as our third date. 69. We had a medieval wedding which took place at a local event of the Society for Creative Anachronism. (Gryphon and I were both members at the time.) I wrote the ceremony myself, based on a reference book I happened to own that detailed what marriage ceremonies were like in the time period (late 1200’s) and place (Northern France) that our personae came from. 71. I never lived anywhere else but Syracuse from the day I was born, until a week past our wedding when we packed my things into a U-Haul and took me back to where Gryphon lived in New Hampshire. 72. Oddly enough, the town Gryphon and I lived in first in New Hampshire was the one and only place I had ever visited in New England in my life. When I was 17 years old and had just graduated high school, my boyfriend (at the time) and his family moved to Nashua, NH. I got to visit and spent two weeks. I lost contact with the boyfriend after that, and never thought about Nashua again until I moved there 16 years later. Weird, huh? 73. I was once a voracious reader. I grew up in a family that reveres books, and I was surrounded by them all the time. I still have boxes upon boxes of them. 74. I hardly read anymore. Crafting has taken over, and you can’t read and knit or bead or paint or…well, hardly anything…at the same time. tuna salad (solid white, mixed with real mayonnaise, not that “salad dressing” stuff), either on saltine or Town House crackers, or on sourdough bread with a nice cheese and grilled. a meal-in-a-bowl concoction of my own making: a bed of couscous flavored with chicken soup base, mixed with some Grated Parmesan-Romano blend, topped with peas and “crab” pieces. Yum! a nice cheddar cheese, cut in slices onto crackers, and melted ever so lightly in the microwave. cottage cheese. Small curd, not large. With either sunflower seeds, cantalope chunks, or a light sprinkling of celery salt – but never all three. buttermilk. With a light sprinkling of celery salt on top. cream cheese (I usually get the lower fat neufchatel cheese) on a Wheat Thin cracker. braunschweiger (also known as liverwurst). On wheat or oat nut bread, with mayonnaise. 77. Most of my favorite food items listed above came from my father. He’s a cheese and cracker type, he enjoys Chinese food and pizza. It’s from him that I learned to like cottage cheese and buttermilk. (He sprinkles plain old ordinary salt on his, though.) It’s from him that I learned to like braunschweiger. The couscous meal-in-a-bowl is my own creation. I can’t imagine my father ever eating anything called “couscous”. 78. I don’t listen to much music. There was a time when I watched MTV a lot. But that was when it was new, and they still played music. Nowadays, I’ve simply drifted away from music, a lot the way I’ve drifted away from reading. Music actually seems to demand my attention in much the same way that reading does, and even though I don’t have to look at anything to enjoy it, I lose my ability to focus on what I’m crafting while I’m listening. 79. I do listen to some music. Selections in my HME center in my Tivo include Hits of the 70’s and 60’s, The Ultimate Grammy Box, Italian Opera music, a local folk band called Tattoo, Abba Gold, several albums of Big Band music, Herb Alpert and the Tijuana Brass, early recordings of Louis Armstrong (1930 & earlier), Japanese koto music, Nat King Cole, Ray Charles, Weird Al Yankovic, another local folk duo called JoeLinda, and The Who. Eclectic, to say the least! 80. I enjoy reality television. Not all reality television, just the competitions that really test something about the contestants. Amazing Race, Survivor, Project Runway, Next Top Model, and the like. 81. Television I can’t stand missing: Lost, any incarnation of CSI, the reality shows I listed above, Martha *, The People’s Court, Jeopardy *, Monk, Numb3rs, Ebert & Roeper, The Carol Duvall Show **, How I Met Your Mother, House, Bones, Mythbusters, Medium, Family Guy. I’m probably forgetting something, but that’s a good start. *I just lost interest in these shows since writing these Things. **Carol Duvall has stopped creating original shows, and you can only watch the reruns so many times. 82. Movies I will watch over and over: Auntie Mame (the original, non-musical Rosalind Russell version), Batman (the original, campy, Adam West version), Cheaper by the Dozen (the original, actually funny, Myrna Loy version), Belles on Their Toes (the sequel to Cheaper by the Dozen), The Wizard of Oz, any of the great classic musicals (King & I, Oklahoma, etc. ), Gypsy. Anything with the following actors: Betty Grable, Don Ameche, Frank Sinatra, Fred Astaire, Ginger Rogers, Lucille Ball (pre-70’s), Bob Hope, Bing Crosby, Carmen Miranda, Doris Day, Debbie Reynolds, Betty Hutton, Judy Garland, Shirley Temple, Clark Gable. I’m sure I’m leaving some out, but I think you get the idea. 83. Once upon a time, AMC was my favorite cable channel – back in the day when they actually showed MOVIES that were made in AMERICA, and that were CLASSICS. 84. I appeared in a crowd scene in the Paul Newman movie Slap Shot, though I’ve never been able to pick myself out in the scene. (Maybe it wound up on the cutting room floor, maybe you just can’t make out people in the crowd.) They were filming in the Onondaga County War Memorial Auditorium, our local hockey arena, in Syracuse back when I was in high school. Local residents were invited to come in and watch, and to help fill the seats in the hockey game scenes. 85. Greta Garbo is (was) a cousin by marriage, through my Swedish grandmother. As you can see, it’s easy to leap to the conclusion that I was always told as a child – that Greta Garbo is a cousin by marriage. I wonder if we’ll be able to document that some day? 86. I had a great-uncle in Sweden who worked on films with Ingmar Bergman. 87. My mother has been a seamstress, needleworker, and knitter my entire life. Her mother before her was also, though she worked professionally as a seamstress, and my mother only did it for the family. 88. Some of my greatest treasures are kitchen towels with crocheted tops that my grandmother made for me. The towels are so battered and worn, we can’t use them anymore. 89. I am now the keeper of my grandmother’s crochet hooks, though, and I’m thinking of using them to make new crochet-top towels for the whole family. I’ve never yet acted on this project. 90. My father is crafty, too. In high school, he painted. A few years back, he carved ducks and turtles and things from aged wood. I have one of his life-size carved duck “decoys”. It’s a personal treasure. 91. My brother works at the Walt Disney Photo Archives in California. He’s also the author of the annual Disney Days calendar. My brother is now the head of the Walt Disney Photo Library. Yay! 92. My sister is a brilliant computer whiz. 93. I am both the oldest child, and the middle child. My father was married before, and had two children, my half-brother Steve, half-sister Suzie. 94. My half-siblings grew up with their mother in Wanakena, NY, a pretty little town in the Adirondack State Park best known for being the location of the New York State Ranger School. 95. In second or third grade, we had to write an essay about our families. I wrote that my brother Steve and sister Suzie lived in Hawaii. Well, isn’t that where you’d assume a town named Wanakena was if you didn’t know better? 96. I once worked a temp job as a secretary at the local newspaper in Syracuse. They had one lunchroom that was supposed to be non-smoking, and another that wasn’t. Being asthmatic, I always used the non-smoking one. One Friday, I walked in to have my lunch, and some old guy was puffing away on a huge cigar while being interviewed by a reporter. I left immediately, and stopped by Human Resources to notify them of the infraction. They headed straight up to deal with it. I heard nothing more from anyone at the newspaper about that incident, but the next day on the front page, there was a big picture of the man with the cigar with an article about him. Turns out it was Mitch Miller, of “Sing Along With Mitch” fame, who was in town to do a concert. The article appeared on a Saturday. I was told the following Monday by the temp agency that my services were no longer required by the newspaper. I’ve always been suspicious about the timing. 97. For all that I love Japanese things, I haven’t fallen under the spell of television anime yet. Perhaps it’s because I’ve found it hard to find one to follow from the beginning, and to stay consistent with. 98. I’ve long been addicted to a common gateway drug for television anime, Sailor Moon. I have a Sailor Moon doll, numerous little Japanese-released Sailor Moon tchotchkes, a Sailor Moon lunch set that includes both American style eating utensils and a pair of chopsticks, a wand that plays different sounds when you press the buttons, and a Sailor Moon alarm clock. 99. My favorite modern animated films are by Pixar and by Hayao Miyazaki. 100. I badly want to own a region-free DVD player so that I can order Miyazaki DVDs direct from Japan. For Christmas 2007, my brother surprised me with the gift of a region-free DVD player, and several Asian movies. It sits in a place of pride in my living room. I have since created a wishlist at Amazon.co.uk, with a whole list of programs like Shaun the Sheep and Torchwood. And yes, for the curious, I also have several wishlists at America’s Amazon.com, which can be found here. I try to keep them up to date, but I’m not always successful. It’s probably safest for those giving gifts to go with items most recently added. 101. My entertainment equipment is heavily slanted towards video. Once, when VCRs were de rigeur, I had three separate VCRs, and some nights all of them would be running at the same time. Now, I have one VCR (to watch tapes I already own on), two three Tivos, and two three DVD players. (To be fair, I’m listing equipment in two rooms!) There’s an amplifier on the entertainment center in the living room, but only so that the TV sound can be run through it so I can listen on wireless headphones. 102. If I won the lottery, I’d start by making Gryphon quit his job, because he’d really be happier setting his own hours and determining his own tasks. Then I’d buy us a place to live that’s big enough to actually hold all our things, and hire movers to get our things there. (We’ve had some traumatic moves under duress in past years.) There’d be a huge crafting room for me, and probably another room next to it just for storage of supplies. Gryphon would have a den/library combination, and a workshop where he could perfect his woodworking skills. We’d have a big living room with a couch we could snuggle together on, a fireplace, a screened porch (I can’t deal with bugs! ), and a nice front yard that we could grow flowers in. Oh, yes – and a kitchen with enough counters and cupboards to count, and new appliances! 103. “Don’t make me hungry. You wouldn’t like me when I’m hungry.” I’m accustomed to eating small amounts of different foods throughout the day – not full sit-down meals with multiple dishes only two or three times a day. I don’t do well with extreme hunger. I get very irritable and cranky, and lose all my tolerance for minor irritations like light, noise, traffic idiots, and the sound of the person breathing next to you. 104. One of my favorite pin-back buttons of all time came from a shop in Greenwich Village in 1979 or so. The shop was called Unicorn City, and that was the theme – unicorns. Oh, they had a few pegasi, too. But unicorns were the order of the day. Anyway, the saying on this pin-back button was so bizarre that I loved it, and I bought one. Know best. Know unicorns know best. Love to know. Smile knowingly. Say “Hello” to the person knowing next to you. Yes, really. All that, on one button about 2″ across. Love. Love. Love It! I just wish I could find one again. 105. I love my husband, yes I do. I love my husband, he loves me too!